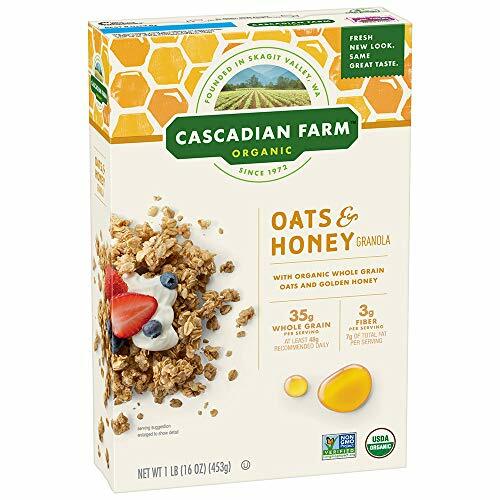 Cascadian Farm has grown beyond our original farm and is recognized as a pioneer in converting conventional farms to organic. 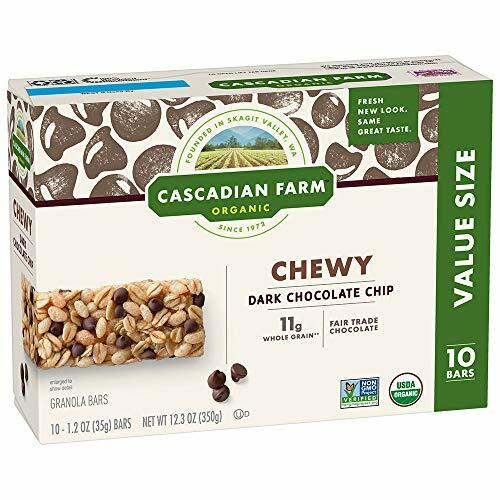 Cascadian Farm Chewy Granola Bar Organic non-GMO Chocolate Chip 10 - 1.2 oz Bars. 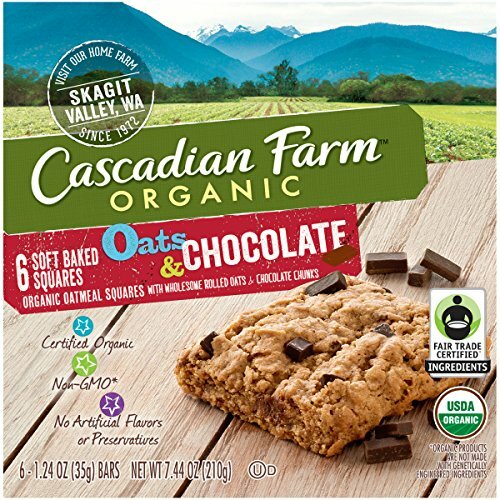 Organic Leader Since our founding in 1972, Cascadian Farm has been recognized as a pioneer in organic farming. We were organic before "organic" was a trend, or even before it was certified by the USDA. Organic is who we've been, and it's who we are. 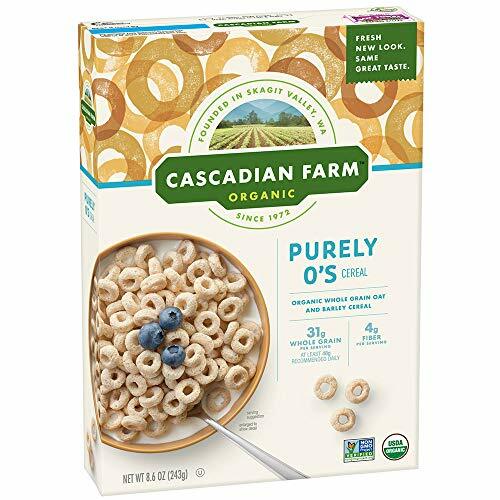 Today our Cascadian Farm products still come from farming practices that work in harmony with nature and foster biodiversity and are grown without genetic engineering (GMOs) or synthetic pesticides. It's agriculture through nature, growing food just the way it should be. Certified organic. At Cascadian Farm, we take a simple approach to life. 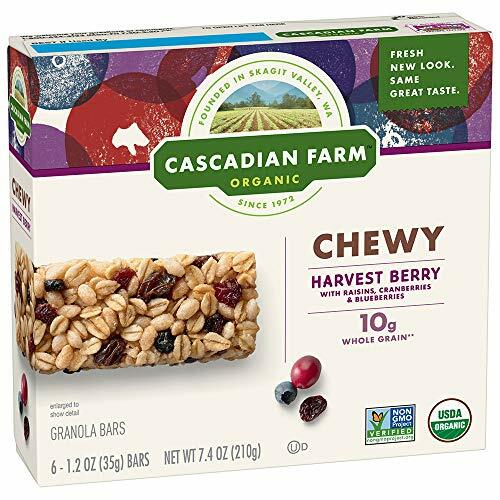 We applied this same approach to our chewy granola bars by including ingredients you might find in your pantry. 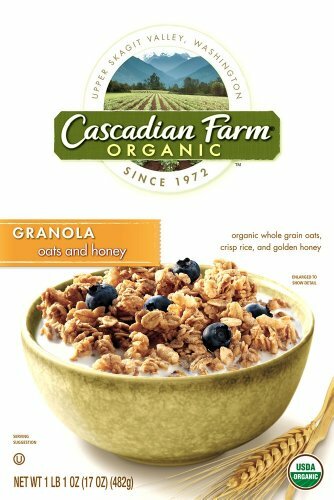 All Cascadian Farm(R) organic food is grown: without synthetic pesticides; without genetic engineering (GMOs); without chemical fertilizers. 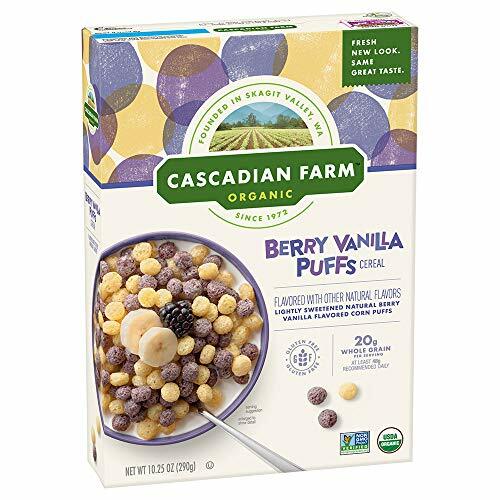 In addition, they contain no artificial flavors or artificial preservatives. 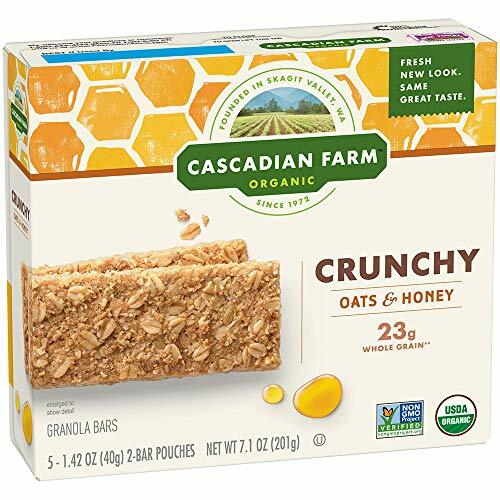 Granola lovers, get ready for a whole new taste. 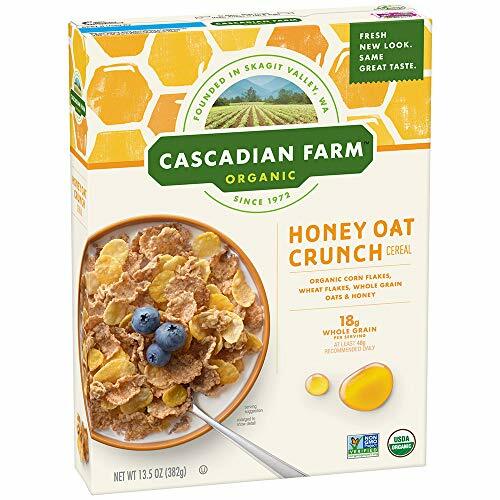 Cascadian Farm's take on this classic features a delicious blend of honey-coated whole oats and crisp rice. 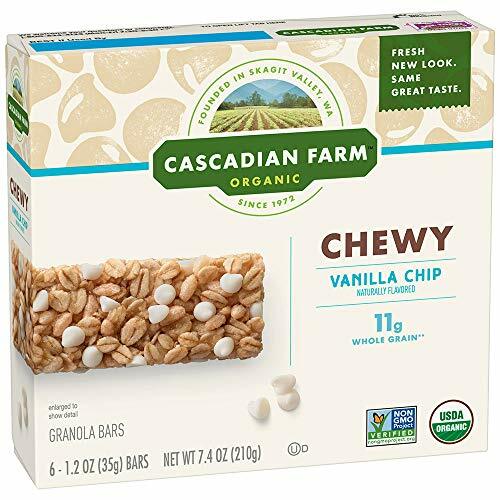 Cascadian Farm Organic Chewy Granola Bar Vanilla Chip 6 - 1.2 oz Bars. Why We Go Organic Why is organic so important to us? Simple. It's good for people and good for the environment. Organic farmers work with nature to build rich, healthy soil and preserve biodiversity and critical water resources. Organic farming also means crops are grown without the use of genetic engineering (GMOs) or synthetic pesticides and fertilizers. By eating organic, we not only limit our exposure to these synthetic chemicals but also respect and utilize nature's rich ecosystem. It's food just the way it should be.